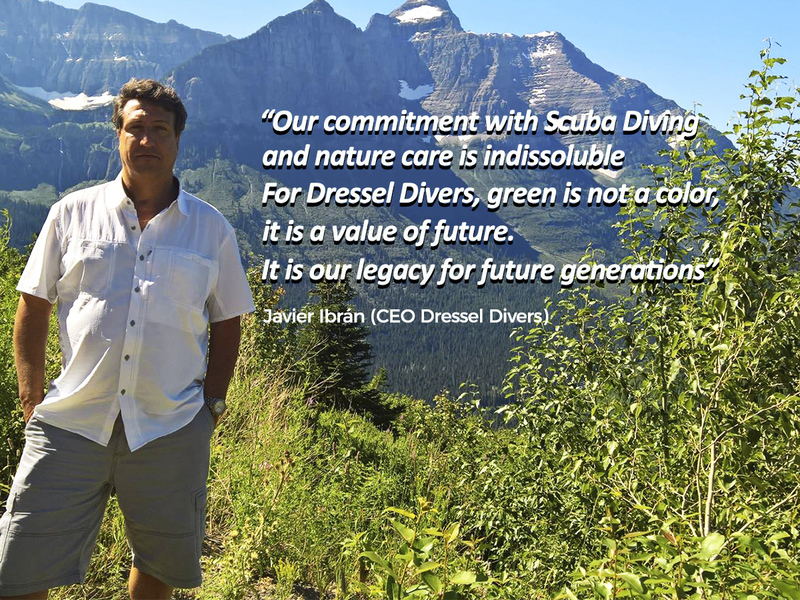 Go Green is born, it is the new green spirit of Dressel Divers. A non-profit initiative that aims to be active in the awareness and conservation of the environment. Dressel Divers has been operating in the diving sector for 25 years. This date deserves to do something special. For that reason, Dressel Divers wants to thank nature and its clients for everything they have contributed to be here today. 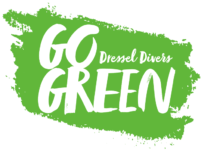 Go Green is born, it is the new green spirit of Dressel Divers. A non-profit initiative that aims to be active in the awareness and conservation of the environment. Go Green wants to be where nature asks for help, to take action for the environment, to raise awareness about its conservation. It wants to collaborate with associations that fight for the fauna and flora not only of the oceans, but of any kind. To help and participate with those who put in the mood, effort and enthusiasm to make this world a better place to live. For instance, Dressel Divers is already collaborating with several local conservation projects nearby its different bases as Project Aware, Fundemar, Collares Rojos, Compasión Animal, Green Star Award, and particularly the Sea Shepherd Conservation Society. Dressel Divers’ customers are divers or snorkelers who are committed to the environment. They will be able to participate in the activities that are carried out. They will connect with nature, they will enjoy with us and at the same time they will leave their ecological footprint in each dive. In this way, Go Green is born as a philosophy open to initiatives. We want to listen to customers and people who want to share their experiences, their day to day. We all add up. Anyone willing to share the green spirit can do it in……………… Go green will publish the green. Dressel Divers wants to give for his birthday a legacy for future generations. A legacy from which employees, clients and people committed to this green spirit are proud. We all celebrate this new birth, an for this reason Go Green raffles 200USD to donate to an Nature conservation ONG for the people who participate in its launch promotion. Be part of it and grow with us.